These paints have been formulated for use on Polycarbonate (Lexan) R/C car bodies. Each bottle contains 23ml. There are many bright colors to beautify your clear car bodies. 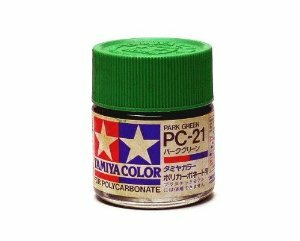 Tamiya polycarbonate paint are watersoluble and completely safe. They can be removed from brushes and other implements using plain water if done prior to the drying, making cleanup quick and easy. This is the replacement front shock shafts for the Traxxas LSII. Includes: 2- front shock shafts.